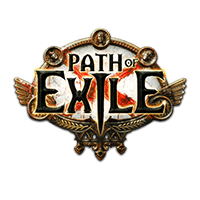 PatchBot will keep your Discord channel up-to-date on all the latest Path of Exile changes. Enabled a promotion for Twitch Prime subscribers. The promotion enables you to redeem the Purple Divine Sign, Purple Skull and Lavender Weapon for free. To access these free microtransactions, first sign up for a free trial or make sure you have an existing subscription. Added 3D Art for Garb of the Ephemeral. Made further changes to preloading in an effort to reduce stuttering and lag from Betrayal encounters. Several Synthesis boss abilities are no longer affected by attack and cast speed modifiers. The number of monsters remaining in a Memory Void area can now be viewed in the top-right corner of your game. Restart to update backend infrastructure. We are performing a server side patch that includes updates for backend infrastructure. Improved the visual indicator of Divine Ire's area of effect while channelling. The "Doubles the values of Global Mods affecting Memories placed next to this Location" Memory Amplifier has been replaced with a new Memory Amplifier which doubles the value of Memory Modifiers affecting Memories placed on it. Added 3D Art for Mask of the Tribunal, Perepiteia and Storm's Gift. Added minimum level requirements to various Distant Memories and rewards. Fixed a bug introduced in 3.6.3 where some existing Distant Memories failed to spawn reward chests. Fixed a bug where placed Memories that you were trying to move were including their current location when checking for valid connections.